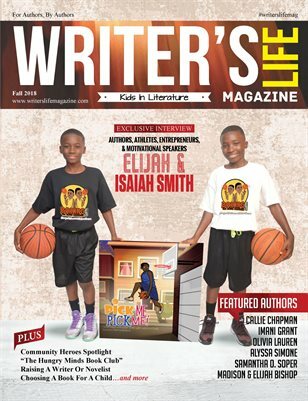 In this issue, you can check out our exclusive interview with cover stars Elijah and Isaiah Smith! Now, with the help of their mom and in response to the bullying they have at times encountered, the brothers have co-authored their first children’s book, Pick me, Pick me! The Smith brothers hope “Pick Me, Pick Me!” will inspire people, young and old, to follow their dreams and reach for the stars.